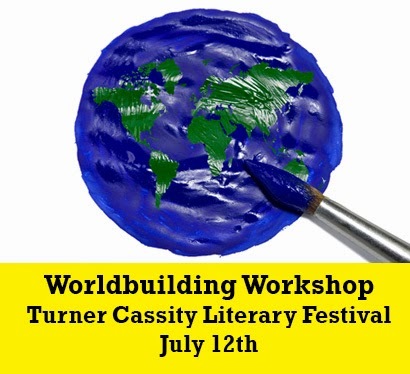 For those in the Douglasville, Georgia area, I'm doing a worldbuilding workshop at the Turner Cassity Literary Festival on July 12th. There are events and gatherings all weekend where guests can mix and mingle with the presenters, so it should be a lot of fun. The Turner Cassity Literary Festival provides aspiring writers in West Georgia an opportunity to develop their writing skills and prepare their works for publication under the guidance of expert and experienced authors. There's a full weekend of Workshops, Critiques, Readings, and a special performance of the winning verse play! They also honor the poet Turner Cassity whose work and dedication to literary excellence in Georgia inspires their endeavors. Building Your Story World: Learn tips and tricks on how to build your story world, from fantasy landscapes to real-world settings. Hands-on exercises included, so bring pen and paper.